Summer will soon arrive. It is a time for sunny days and warm weather. A great time for enjoying the company of family and friends at your home. However, the best and most fun-filled gathering can be ruined by the presence of ants. They can send your loved with arachnophobia into a frenzy! Even those who are not overly put off by bugs can be disturbed and put off at the sight of hordes of marching ants. If this describes your kitchen or household, you should take action now to end the ant problem early in the season before it gets out of hand. Don’t let your ant infestation ruin your summer! Calling professional ant exterminators are the best way of ridding your home of its ant problem. It is important to remember that ants are some of the most resilient of all living creatures. They’ve been on the planet longer than we have, they breed in larger numbers than humans, and they live, work, and survive in environments of all kinds. They make a tough opponent. If you spot an ant colony (or several) in and around your home and take it upon yourself to get rid of them, it doesn’t necessarily mean that you have actually destroyed it the colony(ies), or that you have exterminated all of the ants on your property. 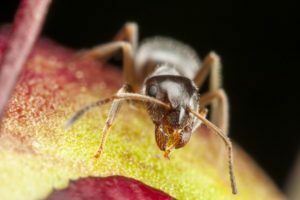 The only way to take care of your ant problem is to bring in an expert in ant extermination in Montreal to conduct a thorough survey of your home —both inside and out— provide you with a proper assessment of the problem and carry out an ant treatment regimen that will resolve the problem, hopefully once and for all. Aside from the headache and unsightliness of seeing large numbers of ants crawling around your home or backyard, they can cause serious damage to the structural integrity of your home if left unchecked. Carpenter ants can range in size from 0.63 to 2.5 cm, they will usually dig wood that has been damaged by water. They occur in various colors, but the popular ones are black. They have the habit of chewing passageways (called galleries) inside wood. Carpenter ants love damp climates and moist areas and they can most typically be found in rainy or wet areas. In your house you may find them nesting around a sink in the kitchen, bathroom, around plumbing leaks, clogged gutters and downspouts. Carpenter ants, pavement ants, cornfield ants, black field ants, and pharaoh ants are all parasitic. This means they have the ability to ruin physical elements in the structure of your home. They can also destroy your ability to grow fruits, vegetables, and other crops in your backyard if you are trying to grow a garden. This is the more dangerous and pernicious problem. The springing up of ant colonies in your home can lead to long-term structural problems. Ants do not travel alone. They are not at all individualistic in their behavior. If you spot an ant anywhere in your home, you can be certain there is a colony nearby. It is not always possible to find it on your own. It may be located below ground or behind walls. There may be a number of colonies throughout the house. You simply will not know the extent of the problem until you call in professional ant exterminators. An ant control specialist is the only person who possesses the knowledge and experience to deal with a major ant infestation problem. The little black ant is smaller than the worker ant and can range in size from 1.2 to 2.0 mm. Black ant nest in soil or buildings, and are common in and around homes where they will feed on a variety of freely available food. Black ants can chew the insulation of electrical cables, create holes in fabrics and rubber goods during their nest building. Pharaoh ants are yellow ants small in size. Their thorax is typically darker, helping to locate the ant. Pharaoh ants are notorious indoor pests, often unnoticed due to their small size and colour. Workers are only 2 millimeters long. Though they are a tropical species, pharaoh ants are quite comfortable inside temperature-controlled buildings in Canada and other temperate climates. 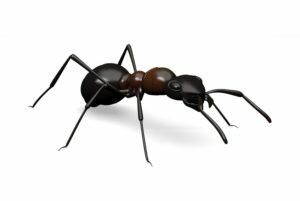 Pharaoh ants are easily one of the most difficult indoor pests to control typically. Private homes are not the only spaces to be infected by an ant problem. These pests can also pop up in new, clean, climate-controlled office buildings. If you are charged with the health and safety of an office building, then it is incumbent on you to confront any ant problems as soon as they arise. Ants can get into everything. They can show up in private office, board rooms, and kitchen areas. You do not want the embarrassment of seeing ants crawling up walls or across the floor when clients and partners visit your office. You also want to avoid the liability of ants getting into the food and drink of employees. Again, the presence of even a single ant must be dealt with in by an expert ant extermination company in an decisive and vigorous manner. You cannot take the chance of allowing the problem to get to the point at which it becomes extremely difficult to resolve. Hiring a professional ant extermination service is the most efficient and effective means of controlling spreading ant colonies. 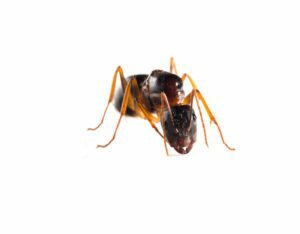 The experienced team of ant exterminators at Extermination Falcon come to your premises well-trained and qualified to determine the extent of your ant problem. Once we have properly assessed your particular problem, we then take action to solve it. Our team of ant exterminators possess the tools and insight to carefully and diligently scan every corner and surface of your property (both seen and unseen) to locate ant colonies and remove them in a way that is humane and that will cause the least amount of environmental disruption. Don’t let an overwhelming ant problem get you down this spring or summer. The professional ant exterminators at Extermination Falcon can help you. Call our ant extermination Montreal company today to get immediate and decisive results 514-376-6585.